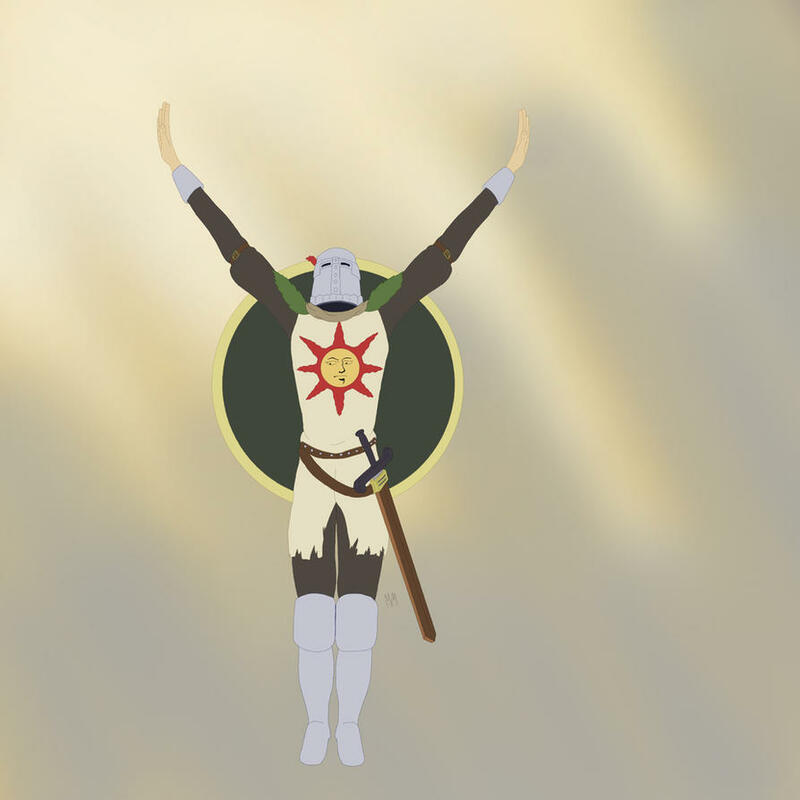 Oh, it's a picture of Solaire praising the sun, meaning something like "thank god". Why are you happy that he is banned besides what he wrotes, that is posted in this topic?? I think I deleted mine but man I should learn not to stay logged in all the time. 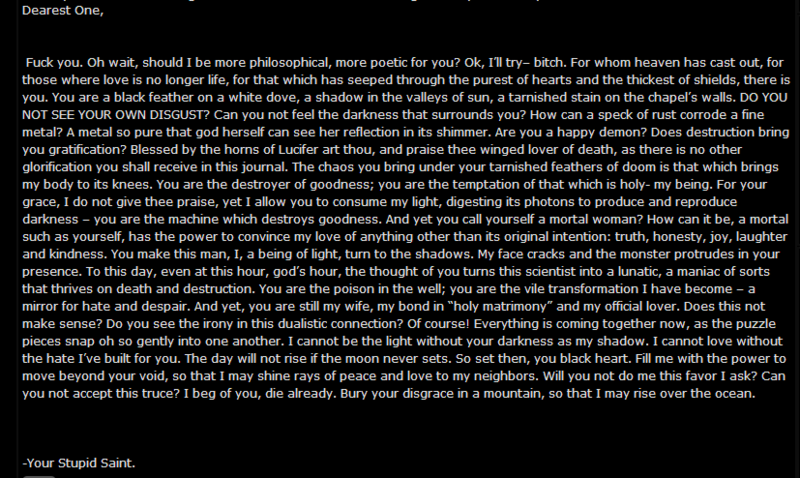 XD Never ran into someone so persistent in the trolling business in my life. Own Archetypes being worked on: RoseHarpie, OrbLit, Crystal Elemental (No cards yet on the last one). Discord Channel: Instant Invite Let me know if this fails to work right. If it fully works it'll replace the Hamachi above. lol I think I got called something that meant young, kid, or anything but adult in some varation of swear words and a number of other things. I'll check and see if there is anything left over from that strangeness. So immature and idiot, you have done the right thing when you have banned him., it was disrespectful. lol immature is an understatement. I wonder where he pulled 90% of those words and phrases. I'm guessing this started because of that warning you gave him? lol he's also the type that will hate on anything with no real reason to it. 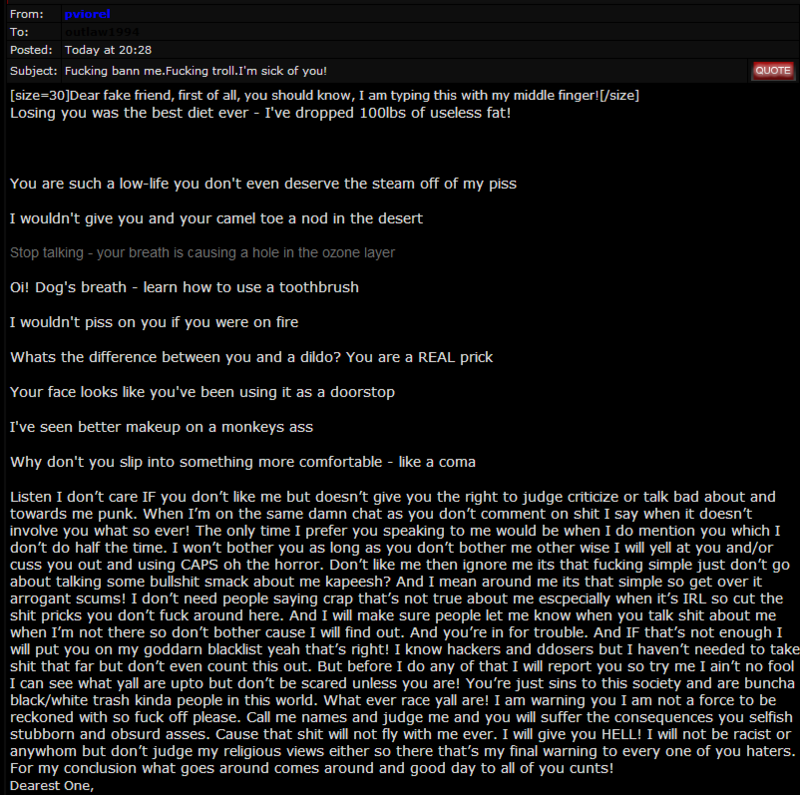 Rule #1 for any site/forum: Don't piss off or trash talk the guy who runs it. That, what pviorel did, wasn't just trash talk, it was insulting on the lowest niveau I've ever seen until now. With something like that it doesn't matter who is insulted in this forum, because you will be banned after such a thing. That's even lower than disrespecting a single member, well both actions are low, and you get banned for both of them, however, disrespecting staff members means ruining the entire forum's reputation, whether it is justified or not. lol what do you think the odds are of him making an alt account and coming back to troll us? Greetings fellow Mackpro community! I hope to get to know a vast majority of you all. If ever I accidentally make a mis-post(post out of place) or do something wrong, please let me know. I may be new, but I hope to learn from you all. Thank you! -Once im done with my summer job, ill be back to learning scripting.